Tetlow King Planning finalised the affordable housing strategy for Lyme Regis in West Dorset District on behalf of Lyme Forward. This followed an earlier Consultation day which was attended by over 100 people/organisations and obtained considerable local press coverage. 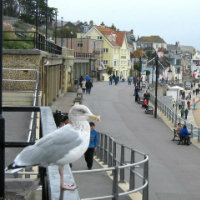 The strategy sought to implement one of the key objectives of the Lyme Regis Community Plan on ways to increase the supply of affordable housing in the town. The role of other initiatives such as increasing community/stakeholder involvement and increasing resources to tackle the problem. © Image copyright Brian Henman and licensed for reuse under this Creative Commons Licence.